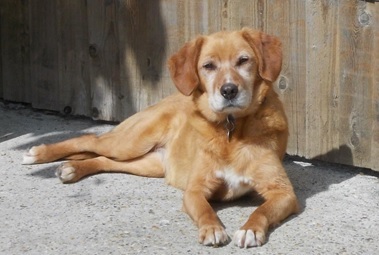 Mara is a lovely 10 year old Labrador Cross girl (trim at 19 kg) who is being rehomed privately. She is in East Dorset. 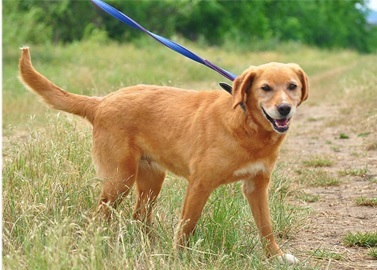 Golden Mara is a friendly girl and is seeking a new special person to befriend and snuggle up to. Mara is a well-behaved girl to have around the home. She enjoys having a good daily walk plus time in the garden. She can be a bit nervous and grumpy when meeting new dogs so needs to be your only dog, and she wouldn’t suit a home with cats or children. Mara will never call the vet her friend, but she is spayed and in good health. 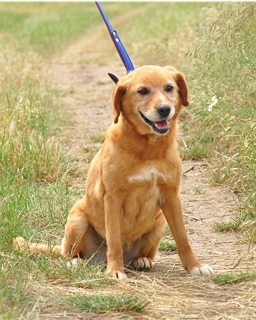 Pretty Mara would be ideal for a retired person seeking a cheery companion. Could you offer her a lovely new life? Mara is being rehomed privately by her temporary carer, Rachel, who has confirmed that she would take Mara back if her new home didn’t work out for any reason. Prospective adopters will be homechecked and should be fairly close to East Dorset. Please mention that you saw Mara listed as a private rehoming on the Oldies Club website. Oldies Club suggests you read our article Questions for Adopters which is written to help people who are planning to adopt a dog from a private owner rather than a rescue.